Sighting land after several weeks at sea is a special moment for ARC sailors, “St Lucia looms large now, rolling hills of velvet dotted with picturesque white colonial houses fringed with palm trees.” Wrote the crew of La Cigale as they approached Rodney Bay. Once ashore, and the initial celebrations, reunions, and boat jobs are done, there’s so much of the island to explore. It can be easy to think that the Caribbean is all about lying on the beach, but if that’s all you do in Saint Lucia you’re missing out. The rainforest-choked interior is made for hiking; a canopy of green covers the island like a haze. Rolling hills grow to form volcanic mountains and reach to the sky. The iconic Pitons rise from the waves to the clouds like pyramids of volcanic stone. Your senses are bombarded with the sights, smells and sounds of an island that’s truly alive. 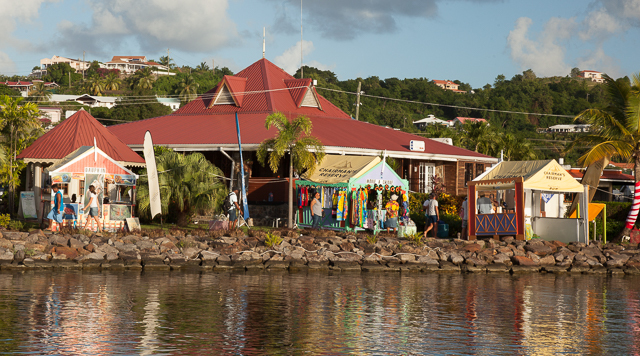 The ARC team work very closely with the Saint Lucia Tourist Authority and share an office inside Rodney Bay Marina throughout the ARC's stay in Saint Lucia. Magdalena is a fantastic hub of knowledge the island, helping participants with reservations, restaurant recommendations and advice to fill their days with the many activities Saint Lucia can offer. Rodney Bay Marina’s permanent establishments are diverse and offer a wide range of culinary delights from Thai food, to delicious ice cream. There is no shortage of cafes to enjoy juices, iced lattes, and a snack lunch. After the sun sets, the Boardwalk Bar is by far the most happening place in the evenings with its stylish layout and ideal location for cheering in arriving rally boats into Rodney Bay Marina. The nightly happy hour is popular with both locals and visitors alike, and live bands get the crowd jumping late into the night. Castries is a functioning Caribbean city and the island’s capital. A very nice harbour is situated to the East. At its terminus, cruising liners are often anchored a couple hundred feet from the shoreline, on which the main road runs. Across the road, the colourful market is a great place to soak up some local atmosphere, buy some gifts and pick up some local fresh fruit & veg from one of the many stalls. Fresh coconuts are sold outside the market for a very reasonable price. “The tourists do not really know about coconuts,” the vendors say, so it is mostly locals who buy them. “Most refreshing drink on the island!” they say. Along the streets surrounding the market space are several small pubs and food establishments, though most have only a few stools, if they have any place at all to sit down. Grabbing a bite of chicken from the grill with a side of banana salad while calypso music thumps out a heavy beat from the adjacent and enormous speakers is a Caribbean experience not to be missed. The locals call it 'bay of the rays.' It's a fishing village south of Castries, a sleepy place on the beach, quite the opposite of the hustle and bustle of Rodney Bay marina. The village itself is tucked in a horseshoe-shaped bay south of Castries, protected enough to anchor a yacht there, but much more comfortable to arrive by ferry. A swell typically runs into the bay, making for an exciting disembarkation from the ferry. Fishing nets line the pier and locals play guitar together on the streets. ARC participants are invited to join the special Fish Fry in the village on Thursday. Local families with large grills set up along the main drag, which backs onto the beach, where colorful fishing boats are dragged up into the sand. The people there depend on fishing and farming for their livelihood, and the Fish Fry is a big part of their weekly income. Caribbean music and a party atmosphere envelopes the town making for a truly special night with authentic Caribbean flavour. 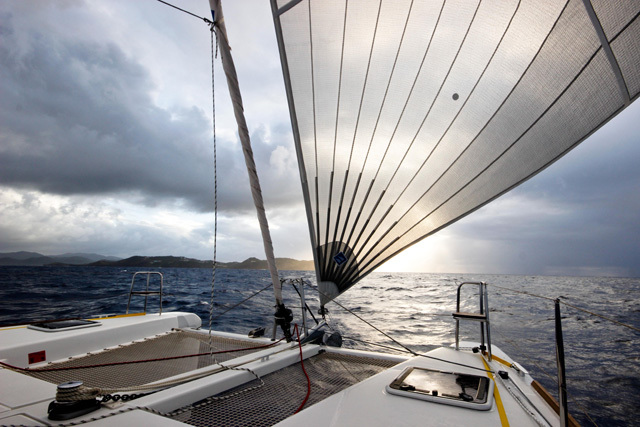 Adding to the experience, ARC participants will head to the village by boat at sunset, enjoying a rum punch on the way. “The countryside is so clean and appears totally un-spoilt” remarked one crewmember after they’d returned from a hire-car adventure of the island. Saint Lucia’s mountainous interior provides ample opportunity for adventure. The Pitons, of course, are the island’s signature, and play host to the most exclusive resorts. The Pitons themselves, ‘Petit Piton’ (743m) and ‘Gros Piton (771m) are two volcanic plugs located within a World Heritage Site located near the southern town of Soufriere and are famous enough that the island has named its local beer after them. It’s possible to hike the Pitons – ironically, the larger of the two, Gros Piton, is actually the easier of the two to hike. The island maintains an ‘Interpretative Centre’ where guided hikes begin. Park Service guides are required whenever visitors climb the Gros Piton (in reality, it’s a ‘hike’ more than a climb, and no special skills or gear is required). 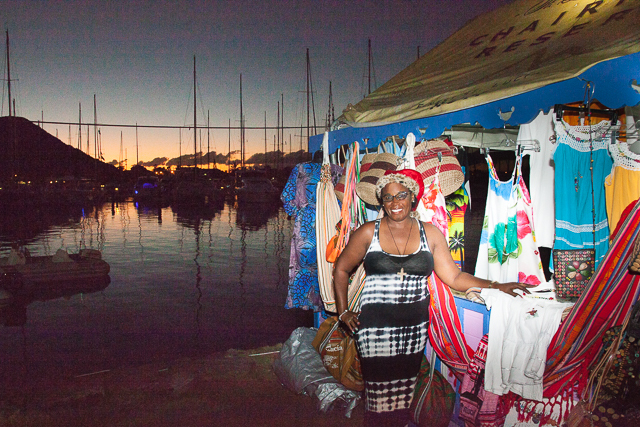 Only one short block away from Rodney Bay Marina, for example, the village of Gros Islet has quaint local restaurants and beachside tiki bars. Every Friday, the village hosts a ‘Jump Up,’ a neighbourhood block party that can get raucous late into the evening. 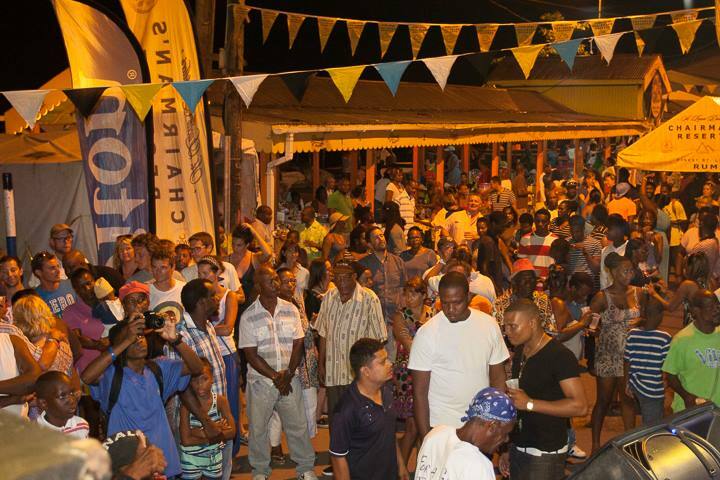 Rum shacks, drink and food stalls, everyone dancing anywhere and everywhere, locals and tourists all mixed as one, a DJ mixing all sorts from club classics to reggae to Justin Bieber! If you are craving a Caribbean party after your Atlantic passage, The Gros Islet Jump Up Party is not one to miss. Further north up the road a Sandals resort butts up against Pigeon Island, a national park crisscrossed with walking trails and wartime ruins. The park also includes one of the best restaurants in the area, Jambe de Bois, a local beachside retreat offering atmosphere as good as the food, and at local prices. Further afield, small villages line steep dirt roads, and around nearly every corner a local roadside grill serves beer and local (strong) spiced rum alongside grilled plantains and homemade cassava bread. The back roads, clean houses, green scenery and friendly people give a clearer glimpse into the heart of the island nation. A peaceful, friendly truth emerges about the country that is hidden in the hubbub surrounding Castries bustling city and the excitement around the ARC programme at the marina. For those who make the effort to seek it, the experience leaves an indelible mark.